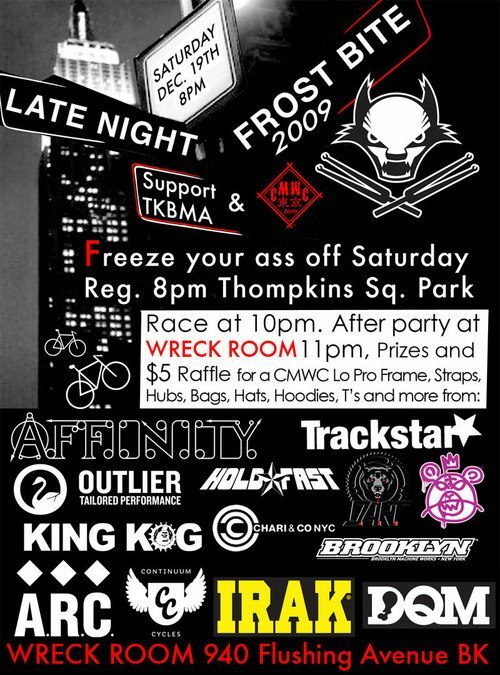 Dan G is organizing the Late Night Frost Bite alleycat tomorrow night in NYC. The forecast is calling for highs in the 30s and snow. If the race ain’t your thing, head over to the after-party at the Wreck Room. Tons of prizes will be raffled off and all proceeds will go straight to the CMWC Tokyo relief fund. Not bad!